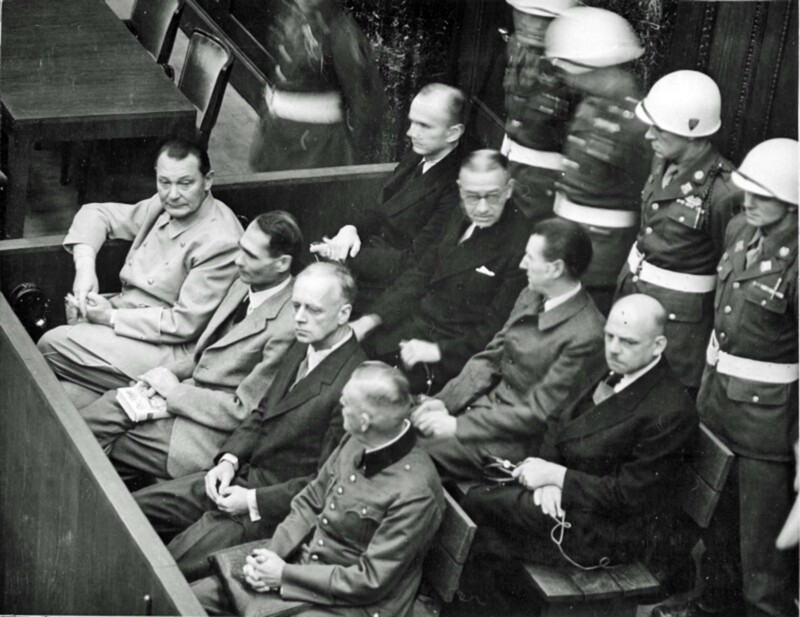 The main war criminals of the Third Reich on the dock of the Nuremberg tribunal, a fragment of the photograph. First row, from left to right: Hermann Goering, Rudolf Hess, Joachim von Ribbentrop, Wilhelm Keitel. Second row, from left to right: Karl Doenitz, Erich Raeder, Baldur von Schirach, Fritz Sauckel.